Why I wrote my book? 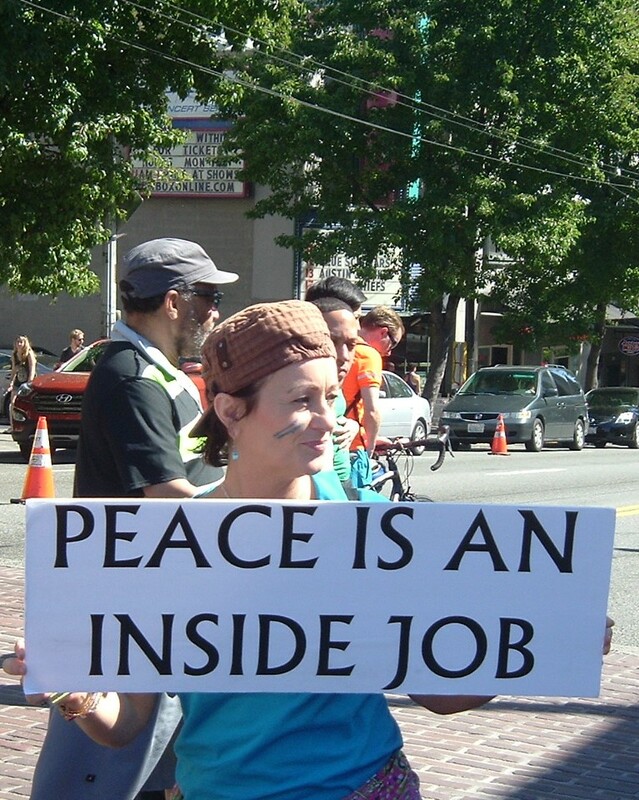 PEACE IS AN INSIDE JOB. The way we bring peace to the world is by choosing to bring our wisdom and our consciousness to the now moment and resolve any war-like problem with a nonviolent approach from a place of empowerment, compassion, and Love. The mantra is “Wisdom not weapons”. If it’s true that the effects of one person ripple out to the world, then having cleared and released the core wound(s) of the past, healing separation from source, bringing love into my own darkness, and the darkness being mirrored to me by the outside world, should create a wave. At the same time, unconditional love would have me release myself from the prison, the inner prison mirrored to me by the outside world, and from the enslaving toxins from my physical body while evolving the new consciousness. The “Hundredth Monkey” is me, reflecting to you a coming home to your soul, a freedom that can be experienced with love, dedication, and commitment to loving the self-whole..
*From Wikipedia, the free encyclopedia: the “Hundredth Monkey Effect” is a purported phenomenon in which a new behavior or idea is claimed to spread rapidly by unexplained means from one group to all related groups once a critical number of members of one group exhibit the new behavior or acknowledge the new idea. Where once my soul was suicidal and wanted to die, it’s now rejoicing, living fully, acknowledging its painful path, the suffering. Each lesson gave me the opportunity to come home to myself, birthing the new, becoming the truth of who I am, unconditionally loving the self and the world whole and free. In my book “Peace, the Flip Side of Anger” ( Chapter 10, “Heaven on Earth”), I talk about our responsibility to be the love we want to see in the world. Merging heaven on earth into the physical is an inside job that requires a body, a physical body, the bodies of 100 million monkeys. Being role models of Peace is a bold choice we all need to make. I was really pissed off, angry, mad, sad and scared to live in this world. I felt like a victim. I felt powerless do anything. Can you imagine how the children feel in this world when we as the adults are scared and acting like bullies ourselves? Whether passive or aggressive with the negative tone of anger the undercurrent of emotion is being acted out. What kind of role models are we? I have been exposed to violence all my life and now it is time to squash the violence once and for all. But how to do this? We can’t keep doing what we have been doing and expect different results. I learned that peace is an inside Job and if I wanted peace in the world I had to be the peace myself. How could I be at peace when I felt so angry inside? I found that underneath my rage, underneath my anger, was a treasure to behold. Once I accessed it, the truth was told. I did not know how to communicate my feelings when I was really angry, when I was feeling the fear of being victimized. Not until I claimed my power and took responsibility for my own rage did I realize that I do have the power to change my reality. I am the authority of myself and have the wisdom to bring peace and love instead of using verbal abuse, weapons or violence to act out my emotions. I had already given up drugs and drinking which kept me from feeling in the first place. Turning the energy against myself was not an option anymore. I learned to master my emotions and liberate myself so I could be a good role model and be the change I wanted to see in the world. I learned that peace is an inside job and it begins with me. In my book, I share my approach which is that the release and healthy expression of anger will result in empowerment, self-healing, peace, and liberation. Be a true hero in your own life. Peace is an inside job; it begins with each of us taking responsibility for our own thoughts, emotions and actions. This book will help you to reclaim your power, find inner peace and raise your body into a higher vibrational way of living and being so you can live your best life . You don’t have to die to go to heaven. Heaven on Earth, too, is an inside job. The Earth is already here. Heaven is a state of consciousness that requires a physical body, your body, for heaven’s merger with earth to occur. Click here and read Chapter 10 of my book. It is my invitation for you to join us as one of a team of peace ambassadors claiming our planet back, one heart at a time. Peace is a choice become an activator instead of a bystander and victim. Everybody has reason to be angry these days with many opportunities to claim their power and liberate themselves into what’s true for them. In 2017 we see that fear and anxiety have taken over. Peace is a choice and the time has come to activate that choice, becoming an activator of life instead of a bystander and victim. People act on their emotions and don’t know what to do with that raw energy. I want to put light to the idea that anger is not wrong or bad but a creative tool, one of the most creative forces in the universe when we know how to use it. Being role models of peace is a bold choice we all need to make. We have all seen angry peace activists and we can see right through them. We can’t fight war with war. To be a true warrior of peace we must bring into harmony anything within us that is not at peace. Choosing peace is really the only option we have. It begins within for each and every one of us. Peace is always an inside job. The flip side to peace is anger, and that is our liberation. We must learn to be masters of our emotions. People act on their emotions all the time, from going shopping to eating a brownie, to making love, to having an affair, to picking a fight, or to shooting a loaded gun. Making a choice in the moment, to react with negative emotion when you are triggered by an even when you are not conscious of your own emotional power, is the problem. It is what humans have done for thousands of years. This is where the education about emotional intelligence comes in and where empowerment, responsibility, and liberation can be found. Whether conscious of their energy or not, this is what people do. They act on their emotions. Everything is energy. They are acting either out of love or fear. When they get triggered or angry they act out their feelings not realizing they hold the key to the energy they are acting upon. Learning not to use force and what to do with that force is another key to finding creative solutions to the same problems we have had since the beginning of time. It’s our responsibility to use our emotions for our liberation instead of using them to harm others or to sabotage ourselves. This old world response is not tolerable and needs to change now. This book is my own personal story and I use my own experience as examples of moving beyond the story to educate and create awareness. You were not born to fit into this world you were born to create a new one. 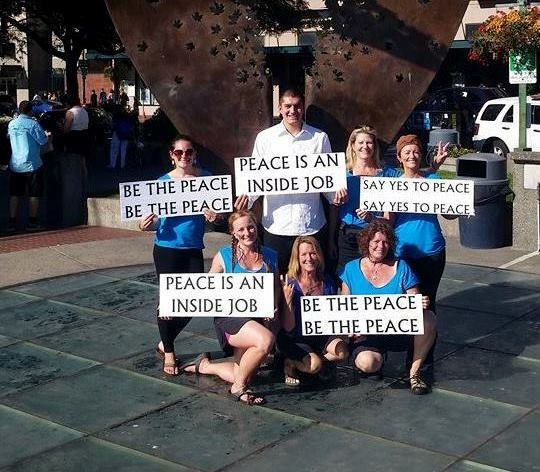 I created an Indigogo Peace Campaign to engage the public in 2014, offering each person a call to action which involved creating a community of self-empowered individuals who are making huge, peaceful contributions within themselves and in their communities. When people know how to claim their emotional power they are free to create a life that resonates with their truth. Every challenging experience in life is giving us the opportunity to clear, to let something old that no longer matches our values fall away so we can dive deep into our inner-self, discovering what is true for us now. This is offering us a new opportunity to create a more harmonious way, living in alignment with our core values. We are yearning for freedom and that is where we are going. When I was writing the book I engaged the public to support my mission. I wrote my book to use my voice. I am speaking for the children and I need to share what I know works. People act on their emotions all the time. We see many people project their emotions, their anger, out into the world and onto each other. We see it right here at home in our country, our communities, or places of work as well as in our personal relationships. From incessant shopping to overeating, to a string of extra-marital affairs, to picking avoidable fights or shooting guns at people, acting on emotions is what humans do. We can’t change something we don’t acknowledge. People are not conscious of their energy and what to do with it and use it against themselves. They are either acting out of love or fear. When they get triggered or angry they act out their feelings, not realizing they hold the key to the energy they are acting upon. Learning not to use force and what to do with it is another key if we are to avoid repeating the same problems we have been plagued with for thousands of years. Education about how to use our emotions for our liberation instead of using our emotions to harm others, is pivotal and needs to be understood now. This book is my own personal story and I use my own experiences as examples, moving the readers beyond the story to educate and create awareness for the good of all. I Will Speak at your event. Your event, your company, your church, your business. The topic — The Top Three Ways to Create Inner Peace. Claiming your Power in the Midst of Turmoil. The way you can help to achieve a peaceful world is to invite me to come and speak at your event/ your company, your church or your business. I help people become masters of their emotions which will give them the inner power to create peace in the midst of turmoil. Click here to read the preface of my book where I talk about why anger is an important emotion for liberation and how my coming to speak to your organization will help your team, your community, cultivate a non- violent approach that will offer a thriving, productive environment where people both experience and practice peace-keeping skills..Be the company that people love to work for, a place where a harmonious work environment has been created.. The skills the employees learn are lifetime skills that they can take home to their families and their communities. What could be more powerful than being at peace within and loving yourself? With the purchase of the book, you receive the online version of the 21- day Peace practice which consists of self-love practice, inviting you into a deeply fulfilling relationship with yourself. You now have access to the most profound spiritual teachings at your fingertips. Peace and love. Make peace with your piece. YOUR LOVE Ripples out to the world. I just wanted to tell you that I just read your book and Suzie my girlfriend says she has noticed a big change in me and my attitude towards life in general. Thank you. When I read the book PEACE – THE FLIP SIDE OF ANGER. It gives me so much insight and hope. As a person who was really angry myself I learned how to deal with my own anger. As a man who values the fact that we can learn to use our anger for creative purposes rather than for destructive ones. In reading, I noticed that a book could be almost as much as a real living coach . Kornelia’s book became a manual for me to work through my ingrained rage of a lifetime, and to come out the other side healing my relationship with my beloved, and even having more ease in my troubled immediate blood family relationships. This practical guide she created offers a step by step process for us all to heal the deep seated anger we carry from childhood, societal, and cultural wounding that so often leaves us feeling powerless. At the heart of this book is the experience of one taking their power back from all that has rendered them feeling powerless, and therefore angry. I will use this book again and again to continue this healing as new things come up for further clearing. As a coach and educator, I recommend this book as a great resource for just about anyone and everyone to really transform themselves, and the collective, from inner anger and rage to experiencing more peace, acceptance and wholeness. This book and it’s practices should be used in schools, institutions and organizations, for a safer and more peaceful society, that can only be created through the acknowledgement and shifting of anger and powerlessness to true inner peace and power. I have read thousands of self-help and development books over the past 20 years, and this is now in my top 5. When I look at the world and see war, chaos, and disarray, I see that people need techniques; ways to understand and deal with anger. What if we could use anger as fuel for positive change? If people had this most liberating education, people could free themselves from hatred and anger. If people were empowered instead of pointing the finger and blaming others, there would be no more reason for war, or anger at work, or anger at home. As a mother myself, I think it’s wonderful that there is a book such as this out there, that will change the game. It will start to shift the world to a more positive and safe place for my child and all of our children. It will take us as a humanity, from a victim consciousness to an empowered consciousness. As a Wholeness Coach myself, I see that this book is creating an opening for things such as world peace, love, joy and freedom to occur for generations to come. If you feel the calling to make a positive change in your world, please, read this book. When I first started reading Peace: The Flip Side to Anger I was so intrigued with Kornelia’s personal stories. I love how she shares her own experience and how that precipitated finding the answers to shift the situations she was in. I think so many of us think we have dealt with anger when in fact we store it away inside somewhere, deep inside. Kornelia does a fantastic service in helping to excavate the anger and transmute it into peace. How beautiful that is. This book will change your life and it may even save your life. Anger is like an acid that eats away at you and this book will show you how to find where the anger is hiding, pull it out and shift to a peaceful state of mind, body and soul.. Well done Korneilia, well done. This book came to me at exactly the right time. I have been working on emotional healing for many years. I kept reacting spontaneously in the same way over and over. I am so thankful to those who triggered these emotions because now I have the tools to release the negative energy that was holding me hostage. I have shared the book with many friends who have been able to release their fear and limitations. The process is so simple, yet it works so perfectly. I highly recommend this book to anyone seeking a spiritual path of enlightenment to honor their higher self. Peace: The Flip Side to Anger is a wonderful book full of many great examples of how the author and you can convert the energy of anger into energy that can be used to heal the past events in your life that trigger your anger. Even though I have grown up with a lot of positive teachings and read a lot of self help books, Peace: The Flip Side to Anger has taught me more. My biggest take away was to not only see myself in those that triggered my anger, but to be grateful to those people who trigger my anger so that I can heal. It takes tremendous courage to face the anger inside; to look inward, not outward, at people or situations. It is our responsibility to look in the mirror. This book, along with Kornelia’s own deep-rooted life experiences, show us the way to find our peace within. And when we are at peace, we shine brightly in the world. Thank you Kornelia, for showing me how! We are all in this together, and Global Peace is what it’s all about. Living in Peace and Harmony within and without. Thank you for taking my hand as we from a circle of love and peace around the world. From the depths of my soul I thank you for your generosity, your love, and your contribution. Together, let’s bring in the next 1000 years of peace and prosperity on Earth. Thank you for supporting me as I share my non-violent approach to peace. I champion humanity’s sovereignty, the authority over one’s life as empowered creation.